It’s time to play the Six Degrees of Separation game again. The starting book this month is The Poisonwood Bible by Barbara Kingsolver. I know it was highly regarded when it was published but I didn’t care for it that much. However I read it so long ago I can’t remember exactly why it didn’t hit the spot, just that it didn’t. Maybe if I read it again I might have a different reaction (that often happens) but I have far too many unread titles to go down that path. Alain Mabanckou’s Broken Glass is set in a seedy bar in a run down part of the country’s capital. One of its regular customers, a disgraced teacher is asked by the proprietor of the Credit Gone West bar to capture the stories of his clients. They turn out to be a misfortunate bunch all thinking they have been hard done by and wanting to set the record straight. They’re not unlike some of the characters in Kingsley Amis’ Booker Prize winning novel The Old Devils. This lot are university pals living in a rural part of Wales and, having been regular drinkers in the past, like to spend their time in the pub. Their hostelry of choice is called The Bible and its here that they meet, often not long after breakfast, to while away the hours with gossip, updates on their various medical ailments and generally complaining about almost everything. They might have more justification for their complaints if they were inmates of the place which is the setting for my next book in the chain: The Devil in the Marshalsea by Antonia Hodgson. The Marshalsea is a fetid, stinking prison for debtors – once in, unless you have private means to pay for ‘luxuries’, you end up in the worst section, the “Common Side” where death is inevitable. Fortunate then the man who can find a way out of this as does Charles Dickens’ Mr Dorrit. In Little Dorrit, her father William gets his escape ticket when it’s discovered he is the lost heir to a large fortune. Dickens uses this novel to satirise the bureaucracy of government (brought to life in the form of his fictional “Circumlocution Office”). He also takes a pop at the class system and its notions of respectability. A desire for respectability also makes its appearance through two childhood friends in Zadie Smith’s novel NW. To leave behind her black working class upbringing, one girl changes her name, becomes a successful barrister and moves to a plush home in a desirable part of London. Her friend has less success, though she has a degree in philosophy she is still living in a council flat not far from her family home. But their past refuses to remain hidden. Identity is the theme of my sixth and final book, one that I bought on my first trip to the Hay Festival and so caught up in the moment that I came away with an armload of books by authors completely unknown to me. Fortunately, one of the them, All Our Names by Dinaw Mengestu proved to be a thought-provoking book. An African boy arrives in a mid Western USA town on a student visa. Little is known about him, only his name, his date of birth and the fact he was born somewhere in Africa. But he’s a fake, a boy who escaped from a civil war in Uganda by swapping identities with a friend who becomes a paramilitary leader. And so we end as we began in Africa. Along the way we’ve visited a few bars, a prison and a suburb of London. As always I have included only books I have read. Take a seedy bar in a dilapidated part suburb of an African city; mix in a few odd ball characters and the stage is set for Alain Mabanckou’s effervescent narrative Broken Glass. The eponymous narrator is a disgraced school teacher. He spends his days soaking up large quantities of red wine at the Credit Gone West bar. Requested by the bar’s proprietor to write the story of the bar and its clients, Broken West finds himself beset by a string of misfortunates with hard luck stories who all want to set the record straight about their downfall. Each tries hard to convince Broken Glass that they are the innocent victims but Broken Glass exposes the delusions at the heart of their tales of woe. Some of the tales and episodes border on the absurd and the fantastical – in one scene two customers engage in a contest to prove who can urinate for the longest time. Though most of the early part of the book is taken up with the stories related by his fellow patrons, Broken Glass gradually begins to reveal the story of his own misadventure and his growing revulsion towards these downbeats. The tone veers between downright funny and bizarre and then, with a deft touch, to mocking satire on the nature of African politicians, the self-delusion of upstart Congolese men or the mediocrity of authors. It’s a clever book full of teasing (unattributed) quotations from other texts, from Hamlet to Catcher in the Rye and from One Hundred Years of Solitude to I Know Why the Caged Bird Sings, slipped into the narrative as if they are the narrator’s own words. It doesn’t take long to discover that Broken Glass takes his task as a writer and curator of the bar’s history very seriously. even when I’m drunk I hate useless repetition or padding, as used by certain writers known to be first-class drivellers, who serve up the same old stuff in every new book and try to make out they’ve created a new word, my eye …. This is a short book with a distinctive voice and style in which words, images and literary allusions freewheel with barely a pause or a full stop. It’s stream of consciousness but without any pretensions to grandiose statements about the universe or humanity. I read this book as part of my Reading Along the Equator Challenge. It tantalised me with its references to ordinary life in the Congo – a dish called ‘bicycle chicken’ seems a big favourite but how this dish is served or cooked or how it tastes remains a mystery. 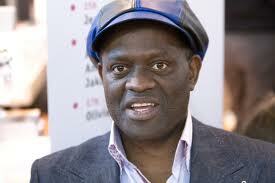 Alain Mabanckou is considered one of Africa’s leading living novelists with an impressive list of commendations and awards. I came across him by chance in a library book sale but will now definitely want to read more of his work. Alain Mabanckou was born in 1966 in the Republic of the Congo (what he calls Congo Brazzeville to distinguish it from the neighbouring Congo Kinsasha otherwise known as Democratic Republic of the Congo). He trained as a lawyer and worked in a legal practice in France for almost 10 years, writing poetry and prose at night. Success came with his first novel,Bleu-Blanc-Rouge (Blue-White-Red), published in 1998 with which he won the Sub-Saharan Africa Literary Prize awarded by the Association of French Language Writers.is now a Professor in the French Department of the University of California in Los Angeles. Discover more about him through an interview with FranceToday or The Economist.